Its used but very good condition. TLC Sport vest label says M but it fits 8-10. Pure Simple Yoga layered look top with ruched sleeves. 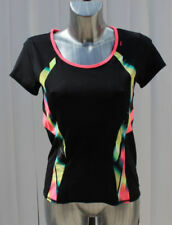 Ladies red and black short sleeve activewear top from U S Athletic size 10. Karrimor Ladies Running Tops X 2 Size 10. Condition is Used. Dispatched with Royal Mail 2nd Class. Kathmandu Womens Zip Workout Top Jacket Sports Sweatshirt Activewear Altica 200. Size 10 but would fit 10-12. RRP £55. Great condition it was never worn as was given as a gift. Grey colour and form fitting style with flattering neckline. Would work as an outer layer for exercise or as a middle layer for keeping warm. Zip pockets for extra security. "altica® fabrics provide great warmth for their weight and are highly breathable. Durable, versatile and easy care, altica®200 fabric garments are the quintessential item for all outdoor adventures. Choose altica®200 for your outdoor adventures in cooler climates. 1. Midweight warmth 2. Breathable and quick drying 3. Durable and easy care" Dispatched with Royal Mail 2nd Class. ADIDAS LADIES CROP TOP SIZE 10. Dispatched with Royal Mail Signed For® 2nd Class. USA Pro Women's Cross Back Tank Top Pink Marl Sports Top Gym Run Yoga Size 10. Condition is Used. Uk bidders only please, thank you. 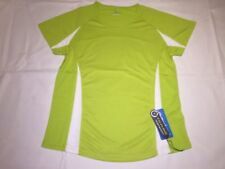 Karrimor Blue long sleeved running top UK size 10. Condition is Used. Dispatched with Royal Mail Signed For® 2nd Class. Under ARMOUR WORKOUT EXERCISE TOP - SIZE SMALL 8 - 10. Used but still in very good condition. From pet and smoke free home. Dispatched with Royal Mail 2nd Class. 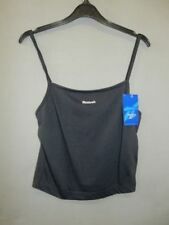 Lululemon Top With Bra; Lulu size 8 so I’d say UK Size 10-12 Perfect Condition. Condition is Used but only 3-4 times, I just prefer tops without the bra built in! Hard to get a picture to do it justice, but the bra is crossover at the back. Dispatched with Royal Mail 1st Class. Purchased for £26 and never worn. Cropped style. Next Ladies Gym Hoodie Size 10. Condition is Used. Dispatched with Royal Mail 1st Class. Dare2b Women Three Strikes Training T-shirt/Top. Size UK10. Gym/Cycling/Running. Next NX SPORT VEST red / Orange Size 10!